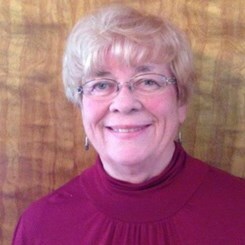 Evelyn Billberg brings over forty years of teaching experience to Music & Arts teaching studios! She received her Bachelor Degree in Music at the University of Alaska, Fairbanks, as a voice major. She was involved for ten years in the Fairbanks community performing in theater, Sweet Adelines, the Fairbanks Light Opera Theater, and in operas at the University of Alaska, Fairbanks. Evelyn moved to Arizona where she earned her Master’s Degree in Music, Composition and Theory at Northern Arizona University. Her thesis was the development of a computer tutorial on an Applie IIe entitled: “Melody and Rhythm, A Computer Tutorial.” Evelyn is a member of Sigma Alpha Iota, Music Teachers National Association, and is active in three local MTNA organizations. Evelyn is passionate about helping students develop their skills on the piano! She developed a piano course (Rose Piano Course) specifically designed to help students discover the joy of playing the piano and learning the basics of music. Instruction is presented in a manner which will advance the student’s skill and enjoyment as rapidly as possible. Students develop keyboard proficiency through chord application with special attention to obtaining fluid dexterity with these chords. Applied harmony and theory at the keyboard takes this information out of the textbook and puts it under the fingertips. Upon completion of the course students understand harmony and theory and will use that knowledge to play beautiful music. The Rose Piano Course is focused on adult and teen students. Young students will study in one of the popular piano methods developed by Alfred Publishing, James & Jane Bastien, Nancy and Randall Faber, or Frances Clark. Request Lessons with Evelyn Billberg today!